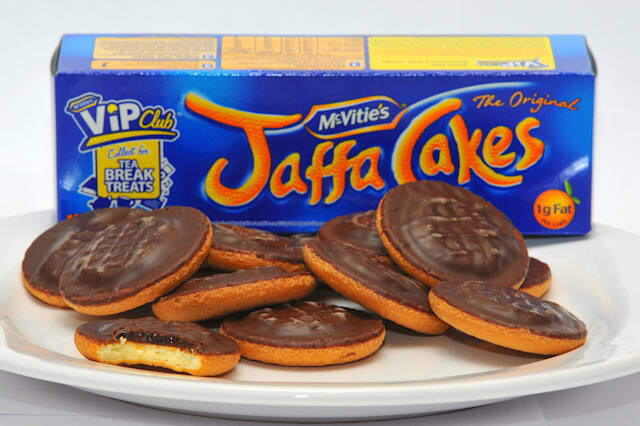 McVitie's and Jaffa Cakes maker United Biscuits is to be swallowed up by Turkish food conglomerate Yildiz Holdings in a deal believed to be worth £2 billion, it was announced today. Yildiz was reported to have prevailed against rival bids from Burton's and America's Kellogg's. It said the deal, under which existing management at United would remain in place, would form the world's third largest biscuit maker. United - whose well-known brands include Jacob's, Twiglets, Mini Cheddars, and Carr's - was put up for sale by private equity owners Blackstone and PAI Partners. Based in Hayes, Middlesex, it employs around 7,100 people with about 4,600 in the UK at sites including London, Manchester, Carlisle, Glasgow, Halifax, Liverpool and Leicestershire. Yildiz, which also owns Belgium's Godiva Chocolate and America's De Met's Candy Company, said it had a strong record building on brands. The company has minimal sales and no manufacturing in the UK but a strong presence in North America, the Middle East and North Africa, as well as China and Japan. It said it would try to drive growth for United Biscuits by using its worldwide distribution network. Chairman Murat Ulker said the deal combined two complementary geographical footprints and opened up significant opportunities for further growth. He added: "We want to grow United Biscuits to be a global player as part of Yildiz. "This will include enhancing its position in the UK, where Yildiz currently has minimal presence, so we will continue to invest in the UK and Europe. "We are very excited to work with United Biscuits' strong and experienced management team to achieve our aim of building the world's leading biscuits business." The acquisition is the latest chapter in a two-century history of the biscuit maker. It was formed in 1948 with the merger of two Scottish family businesses - Edinburgh's McVitie & Price and Glasgow's MacFarlane Lang - dating back to the early 19th century. McVitie's had begun producing the Digestive biscuit in 1892, adding chocolate in 1925. The Jaffa Cake began life in 1927. During the First World War, the firm was asked by the Government to use its knowledge and production facilities to supply "Iron ration" plain biscuits. After United was created in 1948, the firm expanded at home and abroad, with acquisitions including Terry's of York - later sold. In 2000 it was bought by Finalrealm, a consortium of investors. Blackstone and PAI bought United for £1.6 billion in 2006. Yildiz describes itself as the largest food and beverage company in Turkey with over 300 brands in 49 different categories. It incorporates flagship biscuits and confectionery brand Ulker, and was founded in Istanbul in 1944. Yildiz employs around 41,000 people across more than 65 countries. It bought Godiva in 2008 and De Met's this year. Rhys McCarthy, national officer for the Unite union, said: "Today's news ends a period of speculation over United Biscuits and we trust will lead to a future of certainty for the workforce that makes some of the nation's favourite biscuits. "Over the coming weeks we will be seeking assurances from the new owners about the workforce and new investment to ensure that United Biscuits remains a market leader. "We will also be seeking assurances that there will be no change in the respectful relations we have with management and that the new Turkish owners recognise the important role that independent trade unions play at United Biscuits." Lionel Assant, European head of private equity at Blackstone, said: "United Biscuits is a great business and has been an excellent investment for us. "Yildiz is the best home for the company and will allow UB to fulfil its international growth ambitions. " Martin Glenn, chief executive of United Biscuits, said: "We look forward to being part of Yildiz as we continue to fulfil our growth potential, both in the UK and abroad, where we are looking to expand our share of the biscuit and snacking markets and where there is huge potential for all our brands." Stuart Fegan of the GMB union, national officer for members in the food sector, said: "GMB welcome the announcement in terms of new investment which Ulker are committing to the UK sites. "GMB is seeking a meeting at the earliest opportunity to understand their plans for our member's jobs in the UK." Who really owns our water companies?